1. Happy-Go-Clucky, No Matter the Weather! If the Rhode Island Red could fly around the globe (with a little suitcase full of mealworms and the most adorable passport photo ever!) she’d be comfortable in just about any hemisphere or climate she found herself in. Rhode Island Reds can live happy and healthy lives in the steamy tropics or the dead of a winter snowfall. It is this hardy nature and ability to adjust that made them one of the most successful and widespread farm flock chooks in the United States for years. If you live in a harsh climate and think keeping a backyard flock just isn’t for you, think again my friend! Are you kickin’ it in the humid haze of Far North Queensland? Are you rugged up in the chill of the Snowy Mountains? You too can enjoy the company of the Rhode Island Red chook and reap the benefits of having a chicken in your flock that is cool with any climate. If you close your eyes and imagine the hardiest of hens you may conjure up images of a weary looking chook that has seen some things, man. But in fact, the Rhode Island Red is a femme fatale. She is a vision in her red coloured plumage which can range in hue from a deep rust red to an alluring shade of maroon. These hens have bright yellow legs to complement their red coat and dazzling red-orange eyes that sparkle when they see a tasty grub to peck at. The Rhode Island Red is generally sporting a jaunty single comb atop her head, but she has been known to show up to a party adorned with a lovely rose comb. No matter the occasion, or the location, these girls know how to have a good time and look good while doing it! Rhode Island Reds are a large breed, weighing from 3.1 to 3.6kgs, and they have big hearts to match! They were originally bred as dual purpose chooks but we wouldn’t dream of using our Rhode Island Reds for anything but their lovely eggs and these happy hens make a great companion pet for any Chicken Lady or Lad and their family. Rhode Island Reds are friendly to a fault and are simply happy to be in your company, watching over your garden work or keeping the kids busy with pats and cuddles on the weekends. The true grit and adaptability of the Rhode Island Red is in contrast with their sweet-natured disposition and sunny outlook, which will make any visitors to your flock instant converts to the Chicken Way of Life. 4. They Like to Move it, Move it! 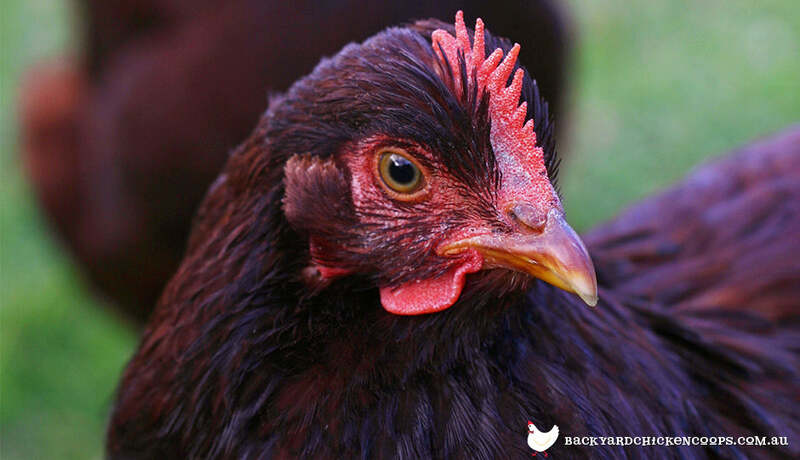 While the Rhode Island Red chook is docile and gentle they are also active foragers, always on the peck for a mouth-watering morsel of grubs, seeds or treats, and a great boost for your backyard pest control! It is a pleasure to watch them bustle about, their pretty plumage glinting in the afternoon sun as they curiously investigate your garden. They like to keep busy and would make a great companion for a family that enjoys being in the yard, free-ranging with their healthy hens on a sunny day. However don’t be discouraged if, like most us, you have to be away from home during the day. Making sure they have a secure run and coop and adding enrichment toys and scraps to their daily routine while you earn their seed is perfectly fine. The Rhode Island Red chook will be happy as a pig in mud to carry on with their very important chicken business regardless of their surroundings! 5. Year Round Eggs Treats for Your Brood! While just the pleasant company of the Rhode Island Red chook is enough of a reason to convince you of their lovability, there is one other thing that makes them a go-to hen for Backyard Chicken Ladies and Lads all over the world. These girls know how to shake a leg and know how to lay an egg! They produce big, brown eggs on the regular, providing your family with delicious and nutritious cackle berries for your breakfast, lunch and dinner. In fact, Rhode Island Red chickens have been known to lay up to 300 eggs annually and in line with their hardy nature, they will even lay throughout the colder months of the year! You’ll be able to impress your family, friends and neighbours with your prowess in the kitchen by trying out delectable egg recipes for the whole brood to share! No matter what the weather is like where you live, a Rhode Island Red chicken is a great choice of chook for any kind of Chicken Lady or Lad. These hens are kind, happy-go-clucky and produce a wonderful bounty of eggs for your tasty treats! 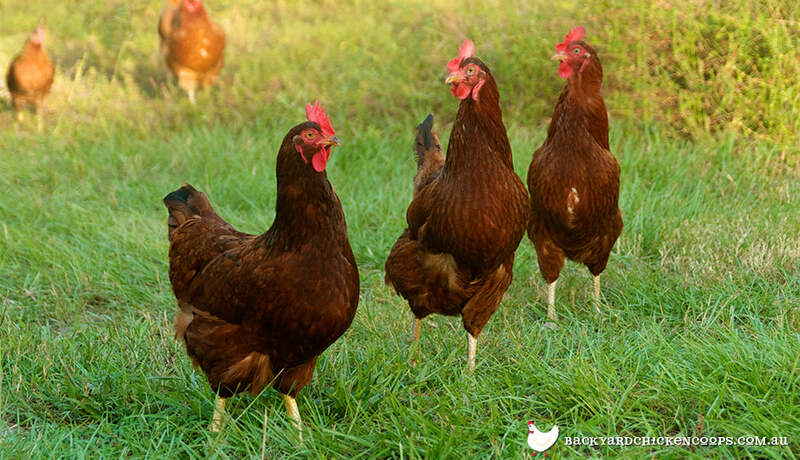 Rhode Island Reds are a chicken with personality and need a coop with character to flourish! Want to start a fledgling flock of two? Or perhaps create a happy and healthy home for a busy bunch of these active girls? We have you sorted with our easy to love and easy to clean coops like the marvellous Mansion, the perfect Penthouse or the terrific Taj Mahal. Have a peck at these happy homes to see what coop is the right choice for your Rhode Island Reds.